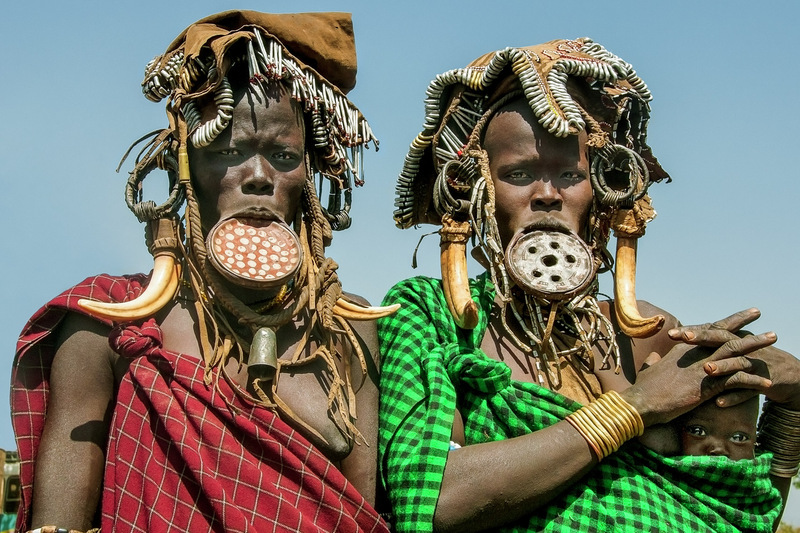 When a Mursi woman is old enough to be married she has a clay plate inserted into her lower lip the size of which indicates the number of cattle required by her parents for her hand in marriage. Mursi women who come from villages exposed to tourism often wear elaborate adornments. They may even attach their pubic aprons, cattle amulets and wild berries to their heads to attract tourist cameras and supplement their income.